Denis Thompson and Ian Russell. 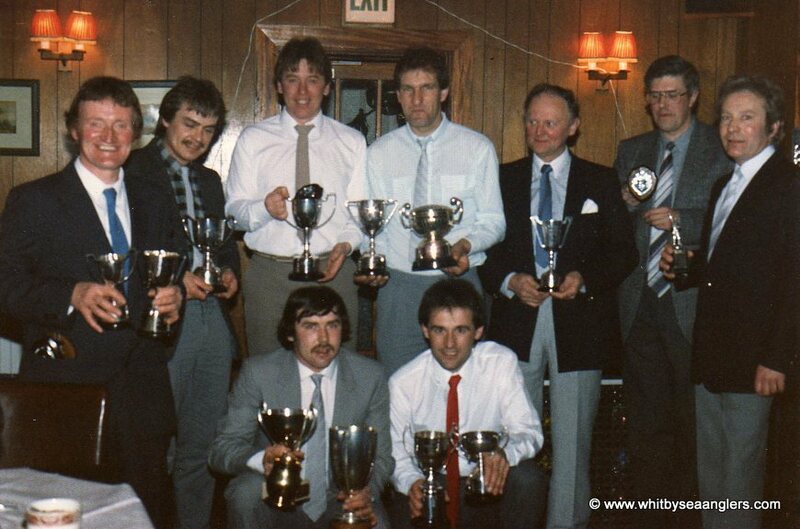 Whitby Sea Anglers Annual Dinner 3rd April 1987. Photograph Courtesy Dave Johnson. 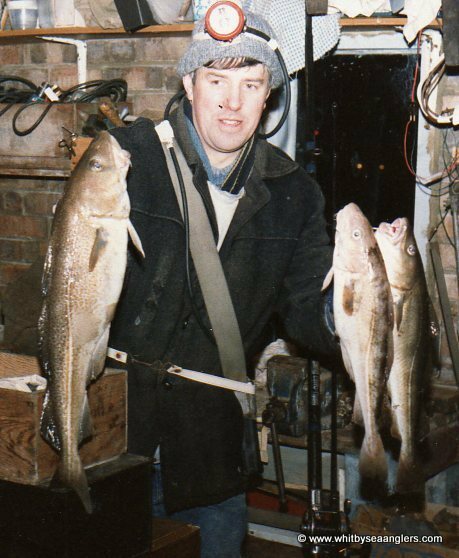 Dave Johnson, WSAA Treasurer, 3 codlings. Photograph courtesy of Dave Johnson.